It's a rainy week here in the state of Maryland right now, but when I look outside all I can see is a beautiful scene ahead of me. 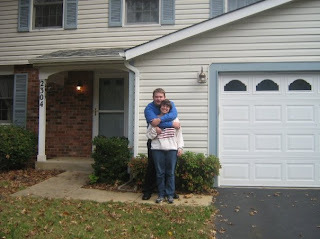 After two and a half years of working hard to pay down our debts, increase our credit scores, and find the right house for the two of us, my husband Sean and I did just that! We have purchased our first house! We have a long road ahead of us, as we move our things from the house we are currently renting to our new house, unpacking things, and making this house our home, but I am more than ready to do so and cannot wait to do so! After having the experience of doctors stating that I would not even live to see my first birthday, I am so thrilled to have the opportunity to purchase this new home with my husband and look forward to see my future family grow happily and with my fond memories in this home. Our favorite new toy, a bike! Our family loves bike rides around the neighborhood and our 2 ½ year old, Matthew, would normally ride in his wagon, until one day my husband put him on his lap and rode him down the street. From that day on, Matthew would not ride in his wagon without throwing a complete fit. Mommy thought it was time for a new toy and headed for the toy store for a bike. I found the perfect tricycle, it even has a handle for me to push and steer him with. He fell in love with his new toy and we go for a bike ride everyday. He’s learning how to pedal it himself and is trying to keep up with the rest of the gang. We have four children, Tyler, 11, Mark, 10, Lila, 4, and Matthew, so he has many acts to follow and learn from. We are proud beyond words of our little boy who suffered a stroke during open heart surgery at just two days old. The doctors didn’t know how the stroke would affect Matthew at the time, but look at him now. He has accomplished many things and has overcome many obstacles in the past two years. He walks, runs, and plays just like everyone else and is as happy as can be. And now, he even rides a bike! Way to go Matthew! 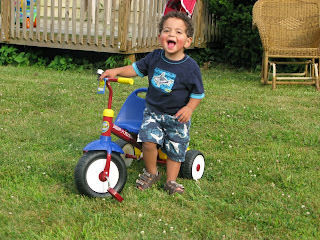 When Danny had a stroke 10 years ago at the age of 2, many things raced through my mind. Many serious things. Then, the sports question came to mind. Would he, could he, will he play sports? Well, Danny has played MANY sports over the years. He started organized sports at the age of 5 and has never stopped. Baseball, basketball, football (flag and tackle), tennis, ping pong, bowling, soccer, and probably some I'm forgetting. He started playing on local parks and rec teams. He is always average to above average for ability. Danny has use of only one hand and wears a leg brace. He runs with a slight limp and is pretty fast, considering. Danny's right hand is not strong enough to be a helper, he uses one hand for everything. 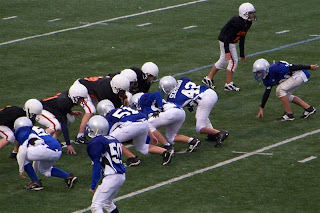 He played on a very competitive football team for 4 years. He played 2nd string defensive end. His highlights include a recovered fumble and a QB sack. His coaches and teammates love him. The time came. He is now in 7th grade. The program in this school...in this district... is fierce, large, strong and competitive. He has never had to "try out" for a team before. As these kids get older, they get really good. The days of everyone is on the team and everyone plays are over. Would he make it? Is he good enough? About 60 boys tried out for 35 spots. We encouraged him. We cheered him on. We told him there is no shame in being cut...if that happens. Plan B would be to practice tennis (which he is very good at as well). Nate just turned 2 this summer and is doing awesome! 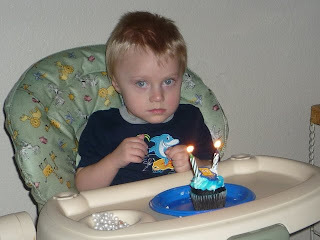 Nate had a stroke at birth and started having seizures at 6 months old (infantile spasms). These seizures are very disruptive to a child's development and he basically stayed 6 months old developmentally for a year. After a year of many unsuccessful treatments, including many seizure medications and the ketogenic diet, he was considered a candidate for a hemispherectomy (surgery to remove part of brain that is causing seizures).